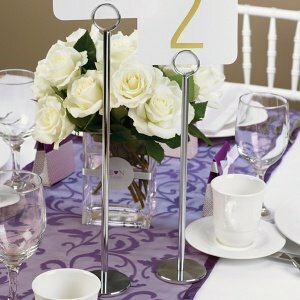 Identify the reception tables with these silver chrome plated wedding table number stand. The versatile piece offers a great way to display the table numbers to your guests. The stand has a double ring design so that the numbers will stay securely in place (Please note: Number cards are sold separately). 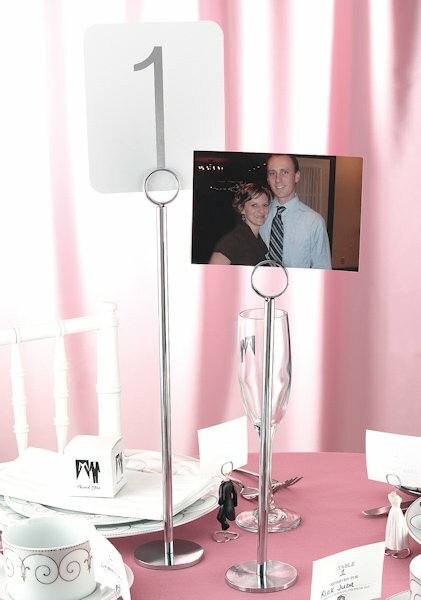 With a 2-3/4" diameter base and 3/8" rod, these supports can be used after the event to display photos, memos or recipes. 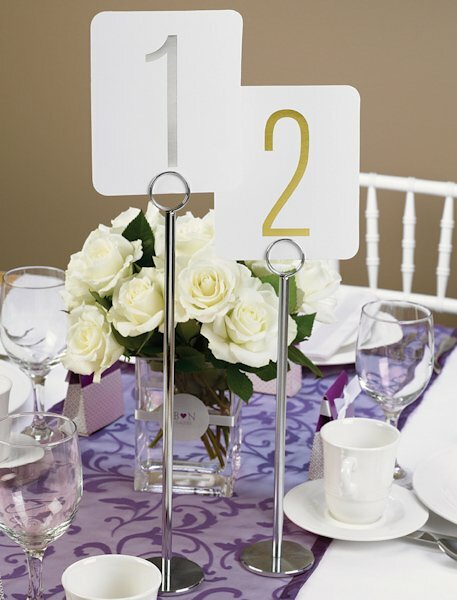 Select either the 12" or 15" tall stand, or order a combination of the two heights to add variety to your reception tables! Each stand is sold individually.